A bit of casual summer florals for you today courtesy of German fashion label Anna Field. I'd never heard of them before but when I spotted these pretties on Zalando, I was rather taken. 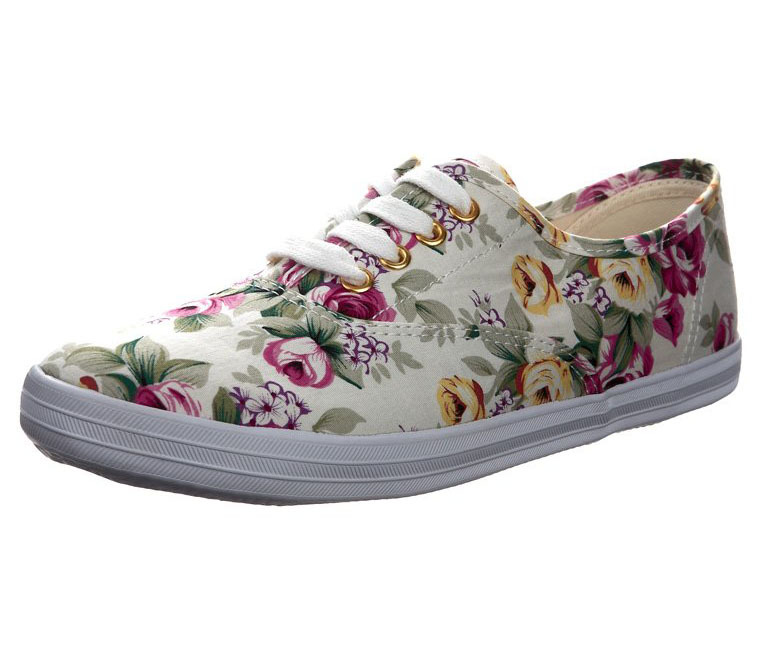 I cannot be without at least three pairs of light plimsoll type trainers for the summer and these floral ones will look great with lots of things in my wardrobe. If you want a splash of pattern but don't want to be overwhelmed, these are the perfect way to inject a bit of variety into a plain outfit. I'm thinking some denim shorts and a plain white vest top, maybe accessorised with a nice cold Pimm's. Lovely.